Several years ago, Michael Witmore and Jonathan Hope published a paper in Shakespeare Quarterly that describes how the string-matching rhetorical analysis software DocuScope is able to identify stylistic fingerprints of genre in Shakespeare’s plays. Visualizing English Print is proud to make the string-matching rules used by DocuScope available online for general use as part of the multivariate textual analysis package Ubiqu+Ity. 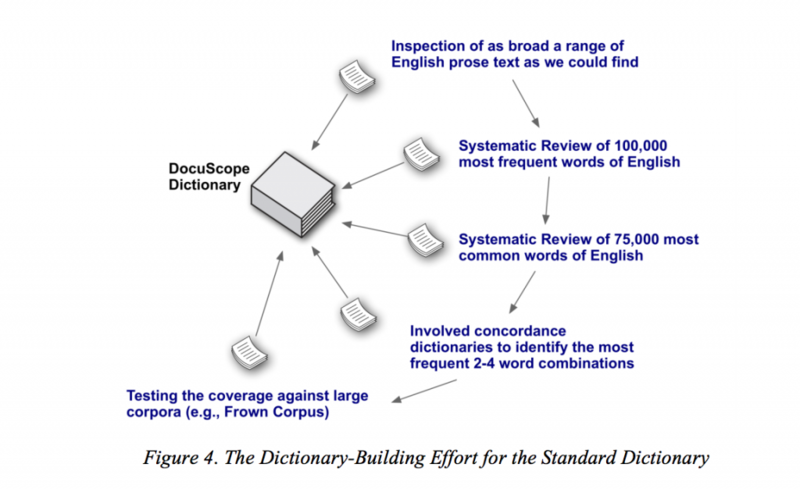 According to David Kaufer, the creator of DocuScope dictionaries, words or phrases which share an ‘aboutness’ can be grouped together in a hierarchical model of what he describes as Language Action Types (LATs); when someone runs his DocuScope dictionary on any given corpus, the software will search for exact matches based on the classifications he has made and report statistical frequencies for each category. While the DocuScope dictionaries are quite specific – in many ways it represents the creators’ view of how language functions – any corpus sent through their dictionary will be analysed in the same way. It doesn’t matter if you send all of Charles Dickens’ novels or emails from your mother or all of Shakespeare’s plays through the DocuScope classification schema; the dictionary will check for the exact same features every time. 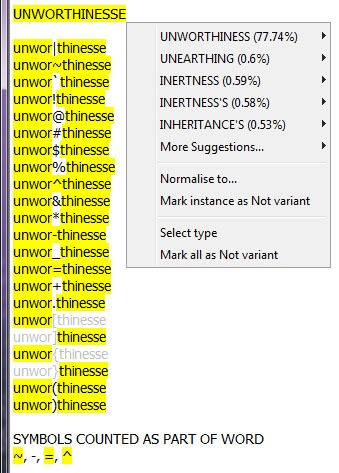 (The joy of DocuScope, and any string-matching software like this, is that every text uses these terms in a slightly different distributional pattern). 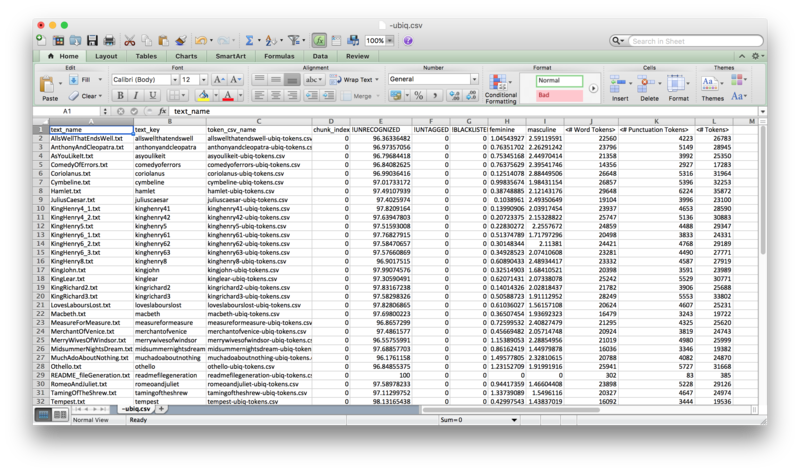 In other words, Ubiqu+Ity matches text to entries in the dictionaries, then computes the percentages of words per document that fall into LAT categories. 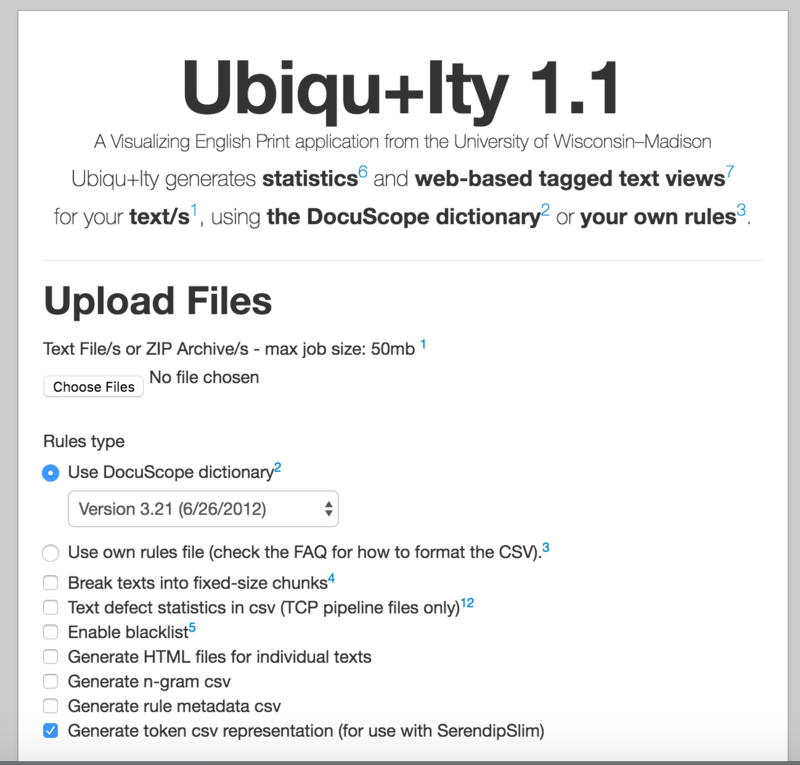 Essentially, Ubiqu+Ity parses text and then tells you what rules the language falls under according to rules outlined in DocuScope dictionaries. 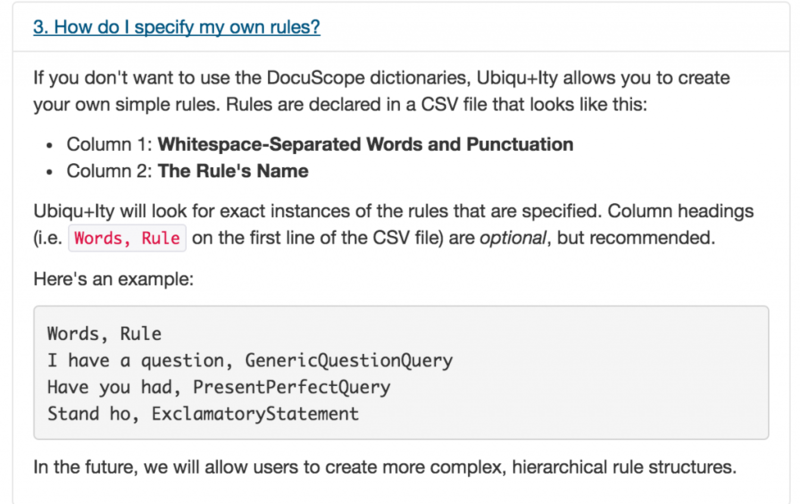 With Ubiqu+Ity, we offer several versions of Kaufer’s dictionaries as well as the ability to create your own rules. What if, for example, you were interested in the language of gender? While the DocuScope dictionaries cover a huge range of rhetorical and linguistic features, it does not have a category explicitly devoted to gender, though terminology related to gender can appear in a variety of existing LATs. Looking at this chart, I immediately want to know why Two Gentlemen of Verona has such a comparatively high volume of ‘feminine’ terms compared to other Shakespeare plays. But computers are also very good at identifying absence in ways that us humans cannot, so I am also interested in seeing why some plays like 1 Henry 6, Love’s Labours Lost, an a Midsummer Night’s Dream or have a smaller proportion of ‘masculine’ language overall – now I have specific research questions to tackle based on my initial findings.